Flight prices went WAY down today so a bunch of the runners from my run group booked the same flight. Party plane! My running group, significant other AND my parents! 🙂 So fun. Will make for GREAT blogging opportunities. The prices dropped just in time for the kickoff of Boston training with the Lifetime groups this weekend (too bad I’m not running with them since my son managed to get a Saturday morning detention that he needs a ride to at the exact same time the run will be kicking off!). No worries, I’m on a different schedule anyway since Phoenix is my spring goal race focus and that is 6 weeks earlier. My long run this weekend finally calls for some MP surges. Woot! 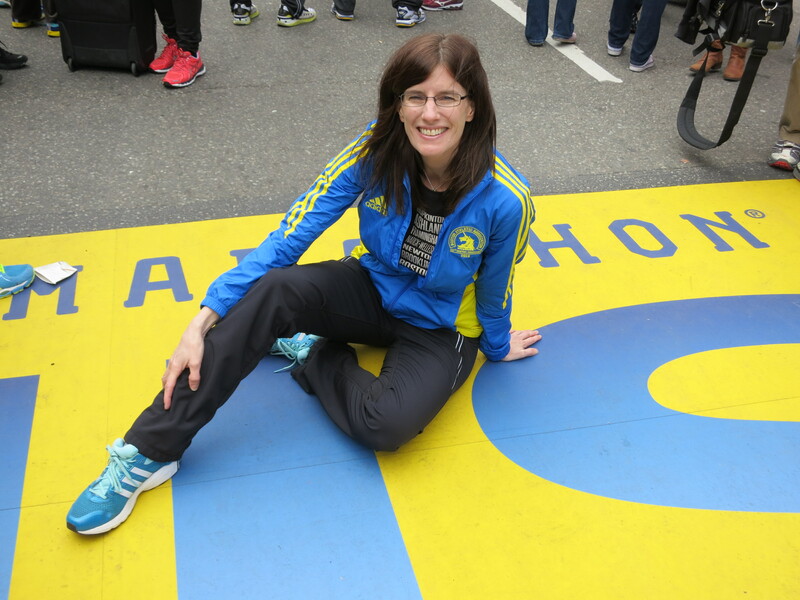 So thinking about the flight and the kick off of Boston training also has me thinking about my Boston Jacket! Anyone know when they announce the colors and start selling them? I’m ordering 1/2 a dozen and wearing it everywhere – running, lounging, court. Can’t wait! Anyone have intel into what the colors will be this year?? Is hot pink and black too much to ask for? I have a MUCH deserved rest day tomorrow. $10 says my internal alarm wakes me up at 4:10 a.m. anyway. Thanks for the head’s up on ticket prices! I just grabbed mine, too!